Our mission at CatholicShop.com is to share the beauty of our faith with the world. We like to think that every rosary, religious medal, book, movie, or Catholic gift sent out from one of our warehouses will serve as a means of evangelization for years to come. We also believe that God's love is transmitted through smiles! That's why CatholicShop.com is focused on providing the most amazing customer support possible. Do you prefer to talk to an actual human when you need customer service? And would you prefer to speak with a specialist whose first language is English? And do you like to be able to get support through phone, email, and chat beyond normal business hours? Well, so do we! That's why our support sets us apart from other online retailers, especially the big ones! 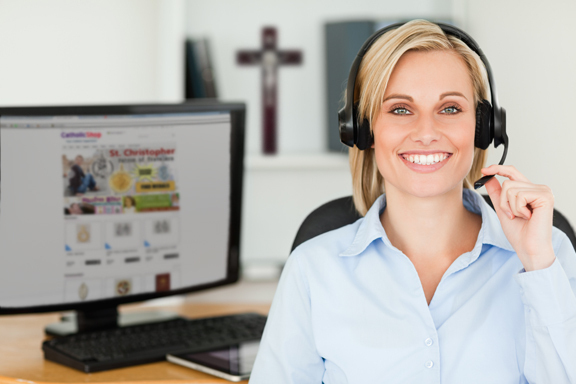 Not only is our customer service team staffed by people who are experts in the religious gift industry, but our representatives are available when you need them most. CatholicShop.com was founded by author and filmmaker Sean Bloomfield, whose work has been featured on EWTN, the History Channel, Catholic Digest, FOX News, Legatus, PBS, and more. 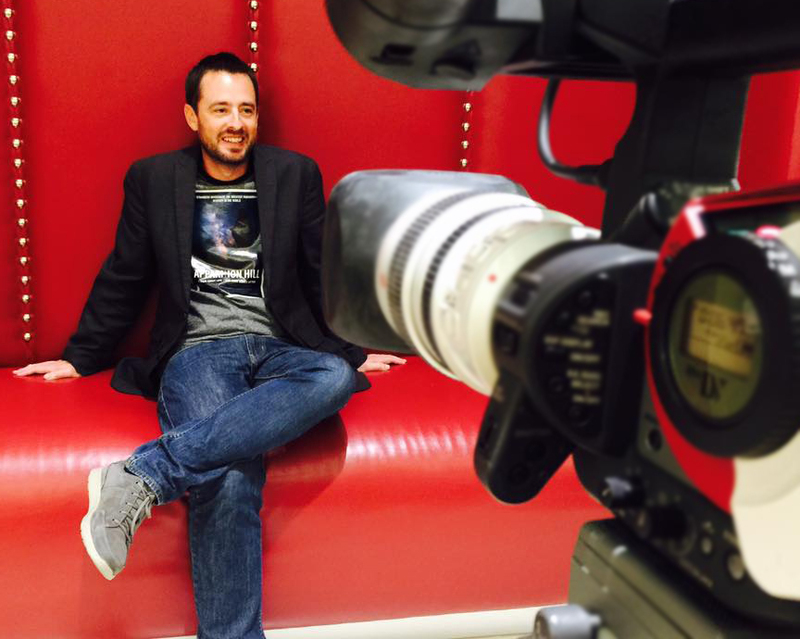 Working with his team at Stella Mar Films, Sean specializes in making films that inspire people to go deeper in their faith. Many of his DVDs and books are available at this site. Learn more about Sean. With a background in visual effects and 15 years of experience in New York City Advertising, Jeff is the Managing Director & Head of Marketing for CatholicShop.com. After moving back to his hometown on Florida's Space Coast with his wife and three boys, he's much happier being close to family and old friends. He enjoys watching movies, working on his '84 VW Van, and never shoveling snow again. Mary helps oversee daily operations at CatholicShop.com, bringing her thoughtfulness and thoroughness to everything from shipping products to handling customer support inquiries. Loved for her warm personality, Vicki handles many of the customer support inquiries at CatholicShop.com. For a Catholic, discerning one's vocation is the most important part of life. The time comes when a person of faith must ask the big question: What is God's purpose for my life? Some become priests. Some get married. Some embark in lifelong careers. For the CatholicShop.com staff, our collective vocation is this website. It's a career, business and ministry all wrapped up in one. CatholicShop.com is a labor of love. Our faith is the driving force behind everything we do. We are fully aware that being Catholic is more than just claiming to be affiliated with a particular organization. It's not a social club. It's not a political organization. It's not even a church... it's THE Church. Together, as Catholics, we are part of a rich, storied heritage founded by Jesus himself, a Church of wonders and miracles, an incubator for prophets, saints and extraordinary people who sought to change the world for the betterment of all. Thanks to the gifts of the Catholic Church, the world has been graced by people like St. Francis of Assisi, Mother Teresa, Pope John Paul II, St. Therese of Lisieux, St. Anthony of Padua, St. Benedict, and multitudes more. 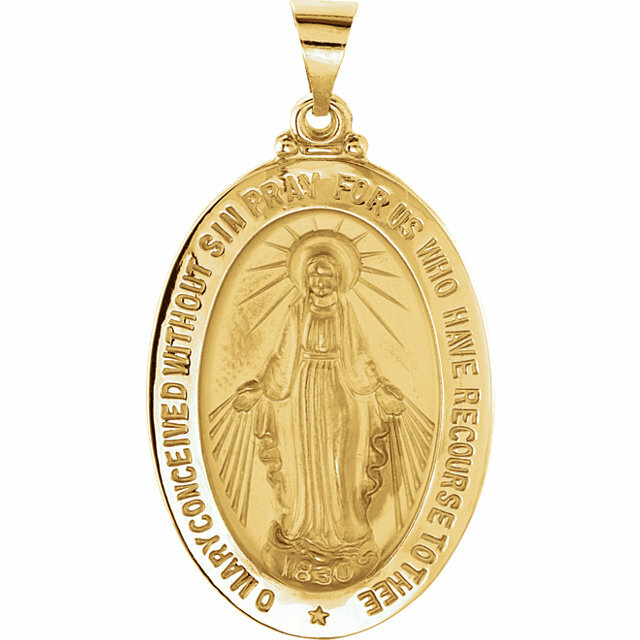 CatholicShop.com wants you to be immersed in your faith, and we are here to provide a wide range of spiritual "accessories" to help you do exactly that. We are thrilled to have been given this vocation, but we also understand the responsibility that comes with it. We know we are called to be more than just an online store. We are also called to be a ministry, with the goal of making the world a better place. CatholicShop.com is your source for tangible enhancements to your faith, products that will help you on this arduous but rewarding "pilgrim's journey" that we call life. We have a simple mission: to offer a huge selection of the world's finest and most unique Catholic products at affordable prices, and to deliver those products to our customers quickly, cheaply, and with a beaming "virtual smile." We are happy people, happy to be running a business we love, and happy to help our customers find the perfect Catholic gift or devotional item. That's why we do what we do! Our happiness will be evident in every order you make, in every package you receive, and in every interaction you experience with our customer support staff, whether through email, online chat, or phone. If we ever fail to meet your expectations, please do not hesitate to contact us and one of our managers will address the situation with your happiness and continued business as the primary goal. After all, CatholicShop.com is here to be YOUR online Catholic superstore, not ours! Without you, we would not exist, so believe us when we say that we truly appreciate your business. Thank you! Shipping Monday through Friday from warehouses that are strategically located in different parts of the country, CatholicShop.com is able to offer amazingly affordable shipping prices on every order. CatholicShop.com uses a unique pick-and-choose approach to shipping, designed to give our customers the best prices and the fastest transit times. Depending on the items you order, our warehouse staff will weigh the shipping options between USPS, UPS and FedEx. Your order will ship with the best option. Every shipment is automatically insured, so you will never have to pay for an order or shipment that is not received. If an order goes missing, we don't even wait for the insurance to come through before sending a replacement or giving you a refund. We do it right away. The Internet is constantly changing, and CatholicShop.com strives to stay up to date on the latest technologies. By doing so, we ensure that our customers enjoy the best user experience possible. 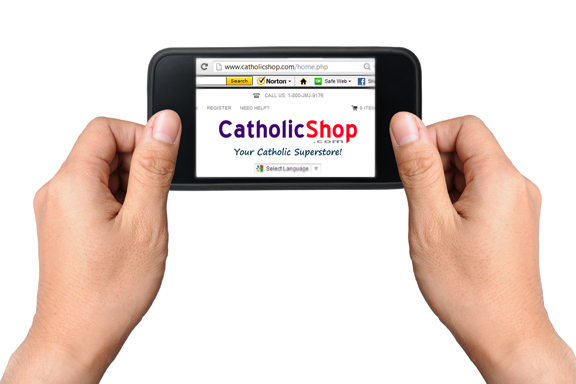 our customers can access the same version of CatholicShop.com with ANY device. Our site also utilizes the latest security technology to ensure that your data is always safe. From our premium SSL Certificate to our PCI-compliant payment processing, our customers sleep well at night knowing that their personal information is secure.